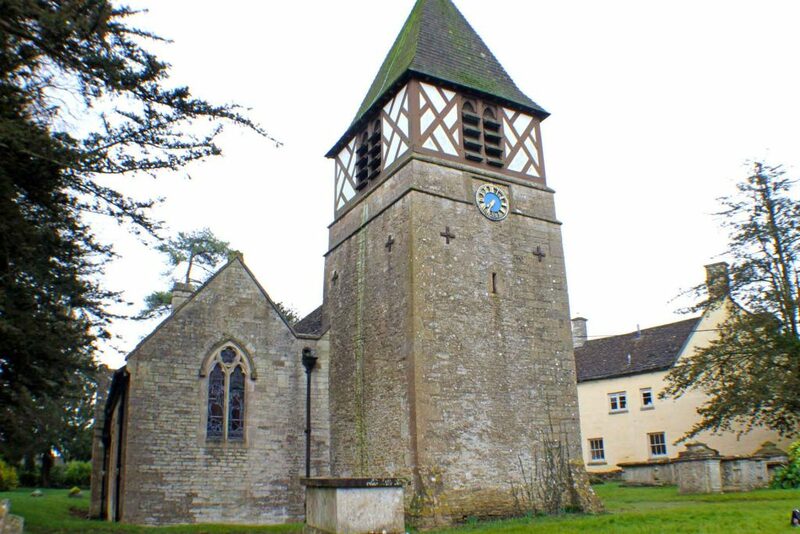 St. Andrew's, Leighterton is a 13th century parish church. It was restored in 1877 by Waller and Son. The church is built of random rubble limestone. 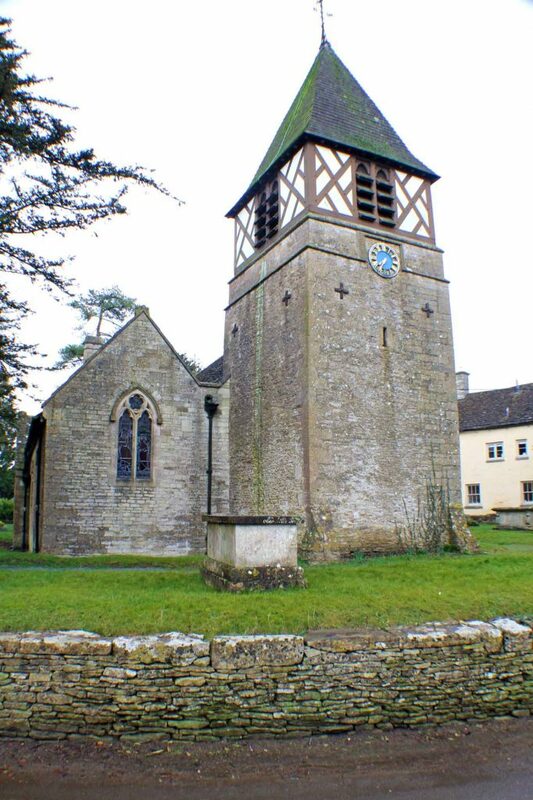 Its belfry is timber-framed with a shingle roof, whilst the main roof is of stone slate. 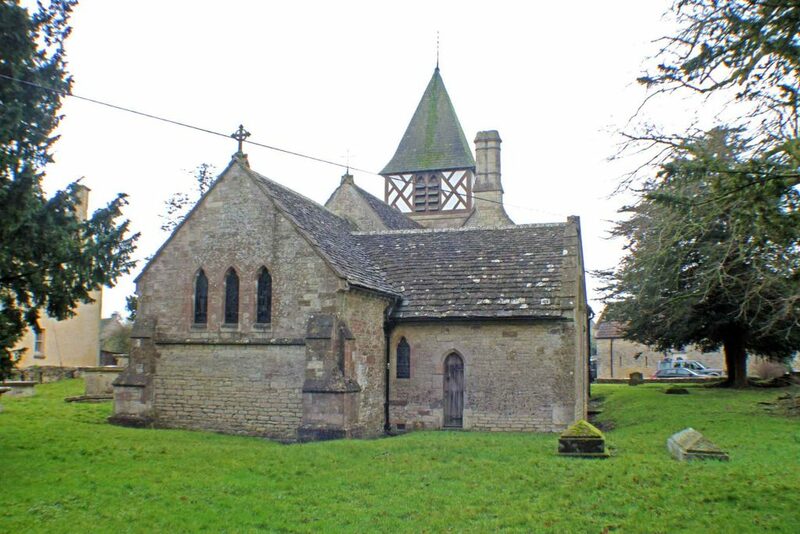 The church consists of a nave with north aisle, a west tower, south porch, north vestry and chancel. In the 19th century the south doorway was restored with a bracket over and stoup in the wall to its left. 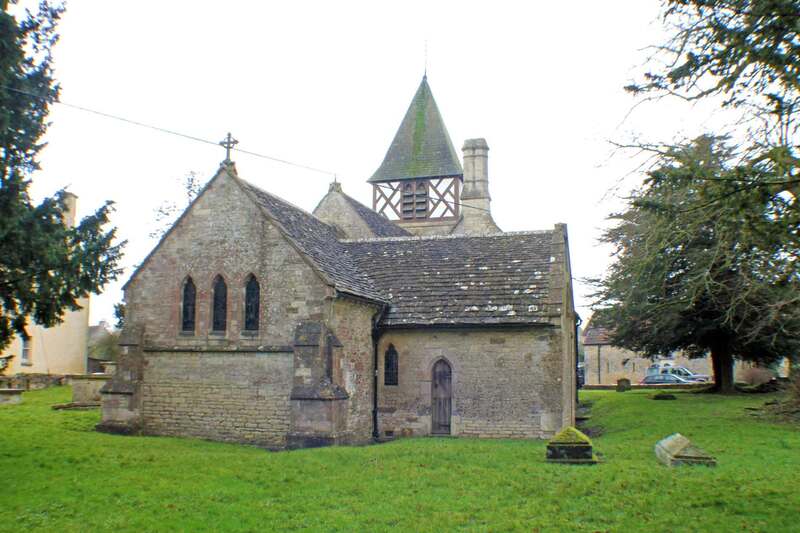 The porch is 14th century with a pointed-arched opening in the parapet gable, with offset buttresses. there is a slit window in the west wall of the porch. There appear to have been many alterations to the south nave wall. Amongst these are a raised stone base to the left of the east buttress, below the blocked doorway with a flat hood, possibly marks the position of an external pulpit. The windows left and right of the porch are two-light in square-headed openings with trefoil-headed lights. The left-hand one is a 19th century restoration. 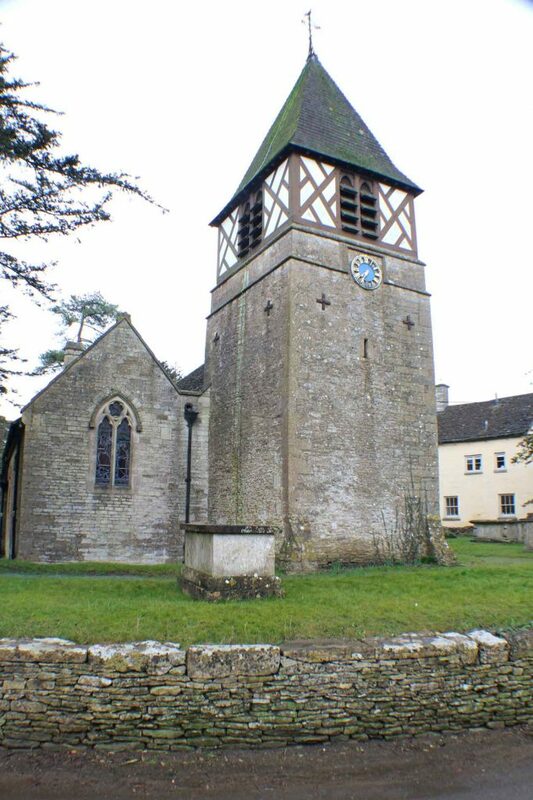 Waller heavily altered the tower, but much 13th century masonry remains, including a 13th century lancet in the south wall and a slit window high in the west wall. There is diagonally-braced framing to the belfrey, whose openings have shingle louvres. The spire is low sprocketted. The east parapet gable end to the chancel was rebuilt in the 19th century. There is a row of three lancet windows above the moulded string course; and clasping corner buttresses. The south chancel wall has two 19th century lancets, but the plinth cantains older masonry. The central pointed-arched doorway to the 19th century north aisle has a plank door, flanked by two-light windows with trefoil heads in square-headed openings with hoodmould. The north vestry has a gable to left of the aisle with a 19th century two-light pointed-arched window with uncarved stops to the hoodmould. The interior is heavily restored with a 19th century two-bay north aisle arcade, which has octagonal piers. There is a 19th century four-bay rafter and purlin nave roof and a wagon roof to aisle. The chancel arch is low pointed with mouldings dying into responds; a three-bay tie-beam and arched-braced collar-truss chancel roof, and panelling over altar. There is a painted mural to east wall. The trefoil-headed south piscina is at low level, due to raised altar steps. 19th century arches rise between the organ chamber and north aisle, and between organ chamber and chancel. The 14th century octagonal stone font with shield in panel to each face is unusually well preserved. The pews, choir stalls and pulpit are all 19th century. Various late 18th century and early 19th century memorial tablets to members of MORSE family are to be found in the tower. 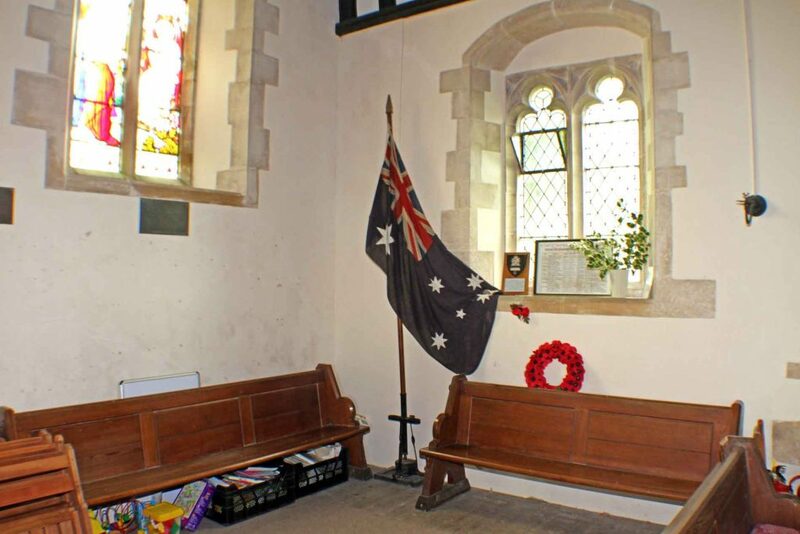 The stained glass is from the late 19th and early 20th centuries.